This cold weather we are having really leaves your lips dry. They crack and bleed... It is awful! I always use Carmex which is a true healer, but there is another flavor I have learned about. 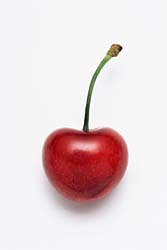 Cherry! At first, I thought it sounded terrible but I tried the balm and I like it. It leaves your lips smoother than the regular flavor. It has a refreshing smell to it, also. So, try it out!